Located in the heart of Dingle Town, Dingle Benners Hotel is an ideal location for touring the quaint fishing town of Dingle and the South West Wild Atlantic Way. You will be immersed in the culture and the history of a Gaeltacht area and experience the true essence of Ireland. 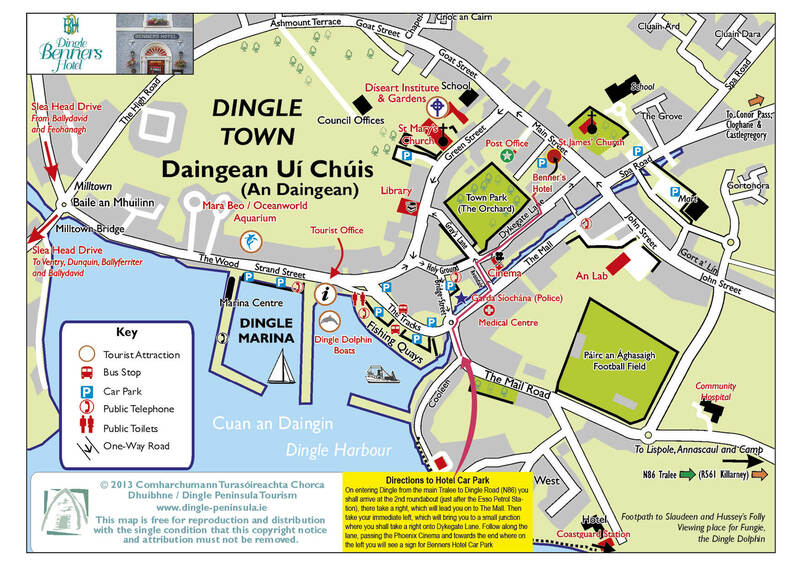 While staying in Dingle Benners Hotel you will also enjoy free ample car parking, allowing you to enjoy your visit and explore the town at your ease.